Since the advent of online rummy many changes has happened to 13 card Indian rummy, and many customs that were a part of conventional rummy game are going to be no longer in use. Shuffling of Cards: If you have played offline rummy game, you would know what we are referring to. At the start of each round, there would be at least one individual in the group who would professionally mix up the playing cards and make an impression on the others with their expertise. This tradition is defunct as the online rummy website will be doing this automatically and instantly. Cutting the deck: Another tradition in offline rummy games is cutting the deck. This was done when the order has been decided. The individual who is going to be dealing the cards would ceremoniously present the cards to the participant just before him; this individual would cut the deck and draw out a joker card. This method occurs at the beginning of each game. In online rummy, this custom no longer prevails. 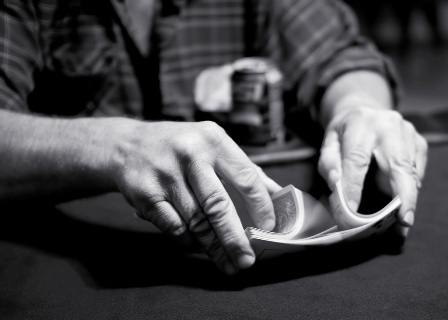 Dealing cards: While dealing cards in a 13 cards rummy, we are often distracted by some player and often end up giving more than or less than 13 cards to the players. Now this much distressing and often risky task has been absorbed by the online rummy site. Counting points: Before the advent of online rummy, the paper and pen that were used write the score. Even though, a name, columns and rows were made to write down the scores, there were often disagreements due to the pluses and minuses in the game. Thankfully, this custom is also no longer in use as online rummy sites has taken over this feature also very well without any chance of errors. These are some of the few defunct customs as we compare offline rummy with online rummy games. There might be many more. If you come across any, just let us know by commenting on the comment section.